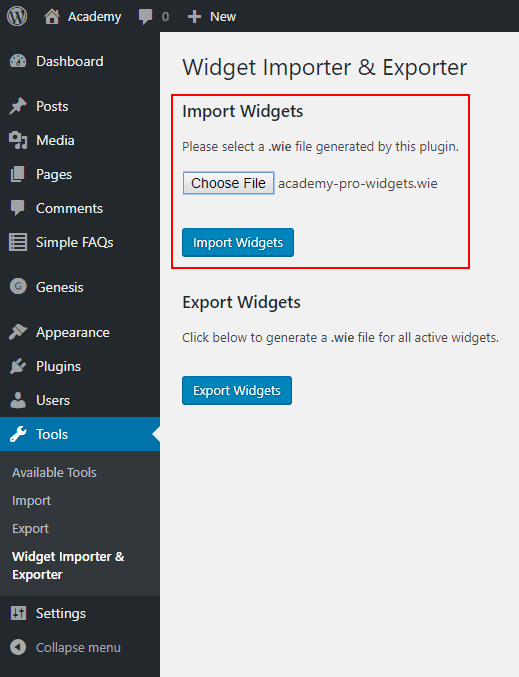 The Widget Importer and Exporter plugin enables you to set up the widgets used on the homepage of the Academy Pro theme in a fraction of the usual time. First go to: Dashboard > Appearance > Widgets. Make sure all of the homepage widget areas are empty. Put: academy-pro-widgets.wie file on your desktop. Navigate, find and select the, academy-pro-widgets.wie file. 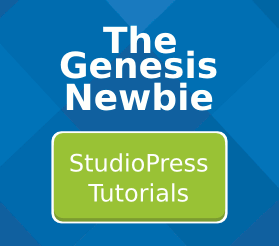 Now if you navigate to your site’s front page, it should look similar to the demo site.